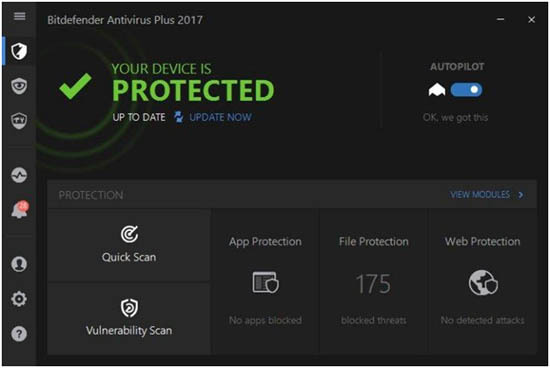 The basic duty of BitDefender Antivirus 2017 is to ensure that all malicious software, including Trojans, viruses, ransomware and malware , are removed from a device. This software seem to have moved beyond this basic functions by providing advance feature such as Password manager as well as secured browsers to safeguard all your financial transactions. The new revamped software also come with a File shredder that analyzes all file in order to discover any possible attack. This software is designed like a suite, and it I capable of performing all core anti-virus protection job very effectively. 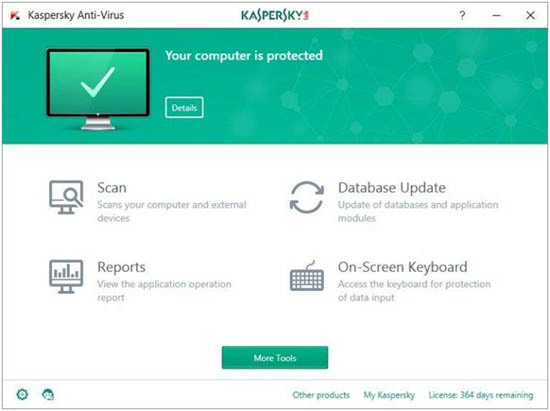 Kaspersky Antivirus 2017 is one of the top 3, most effective antivirus software around, and consumer research agencies give this software a maximum rating in terms of effectiveness. This software will cost you $59.99 to cover up to 3 devices on a single license, and up to $129.99 to cover up to 10 devices. The main window is characterized by a new green and white colour, while the layout has changed since last year. The top area banner of the Window will reveal the security status of your Window, and when there is a problem, the security banner will turn red and you can click on it for details before rectifying the error. BitDefender software price starts from $39.99, to install the software on a single device, however, installing the license on 3 devices will cost $59.99. BitDefender Antivirus 2017 I very effective because it come with the latest virus definition files, that make it effective in predicting and suspecting the activities of potential viruses. Once installed, the installer included will automatically scan a device for any active malware, and it is possible to activate this software with a full license key, or you can go for a 30-day free trial. In order to activate the software , you need to create a logon account or if you have an account already, simply log in , but keep in mind that you can only associate a single level of protection with one account at a time. Your account give you access to the BitDefender online. In order to make use of the antivirus and Security Suite, you will need two different accounts, and that means you cannot use both the Suite and the straight antivirus on the same system. Though, Kaspersky software is an 100% effective antivirus software, its Malware blocking effectiveness still fall behind the likes of BitDefender 2017 antivirus, but that does not mean it is completely vulnerable to such. The fact that this software is only limited to Windows Operating systems, means it cannot be deployed on devices such as Mac OS, IOS, and Android. In addition to its limited usage, the software may also require some manual updates. It is effective in wiping out any hidden Malware included in your downloads, without leaving any traces.